Mr Shuck is refusing to taste this one. It started with an avocado cornmeal cake that I found at Be Well at Stanford. (Actually as I made that link, I realized that it is a MUFFIN. This might explain why there’s only 1/4 cup of sugar….hmmm.) Since I made minis, I baked for only 16 minutes. So what to ice them with?….. 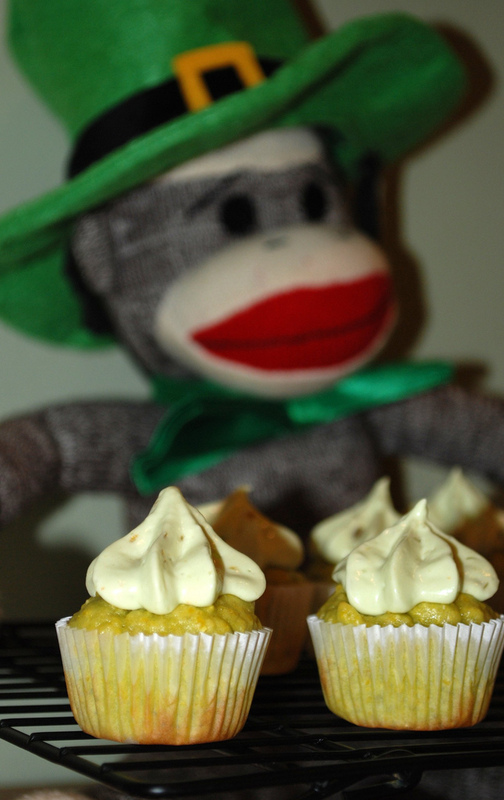 Originally, I planned to make an Italian meringue using jalapeno jelly and lime. As I melted the jalapeno jelly, I realized that it would eventually revert back to a JELLY from the melted syrup and I didn’t know how well that would do in the meringue. I pictured lots of separation and running of egg whites when I woke up in the morning. So…off to Thriftway at 8pm for some cream cheese. I mixed a box of cream cheese with half a jar of jalapeno jelly (and a drop or two of green food coloring) and whipped the heck out of it. 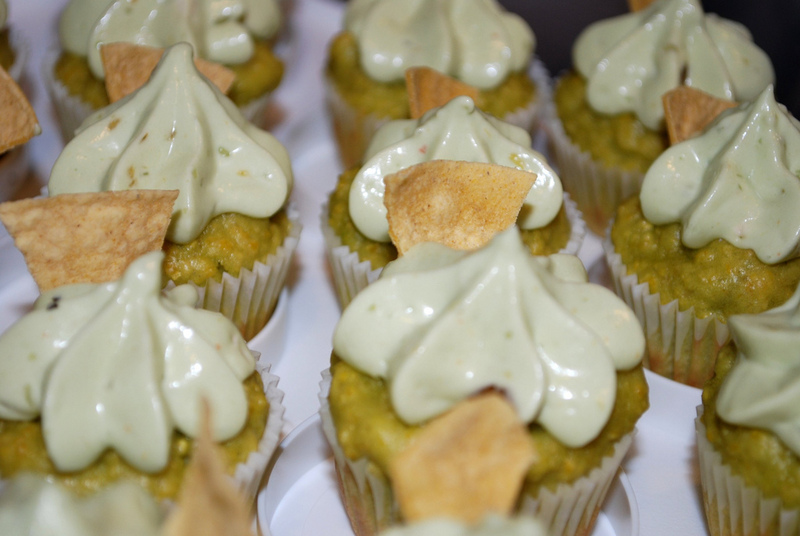 It tastes okay, but might be more suited to a Ritz cracker than a cupcake, even a savory one. I toasted some small triangles of corn tortillas and used them as a garnish. We’ll find out tomorrow how they taste since neither Mr Shuck nor I are willing to take the first bite. Am I allowed to say that I’m scared? 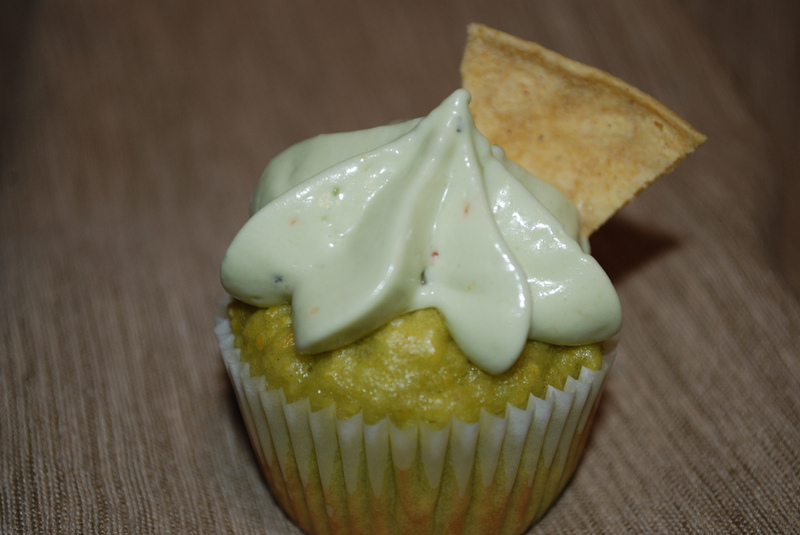 Taste: Great job of layering…sweet of the icing(caught me a little off-guard at first)…savory flavor of the avacado in the icing, then in the cake…slight sense of sour cream(done with cream cheese! )…Decorative chip on top soft, but I understand that any tortilla chip will go soft once left out in the open…I have enjoyed the “corn meal” style muffins that Mrs Shuck has made. 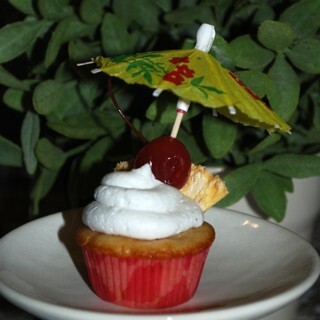 Overall: I commend Mrs Shuck for making such a unique cupcake. I would definitely have another one…I will, if there are any more left. When you get to W, I would like to suggest white castle cupcakes. They could be little wads of beef in cupcake shape with ketchup frosting and onion garnish. 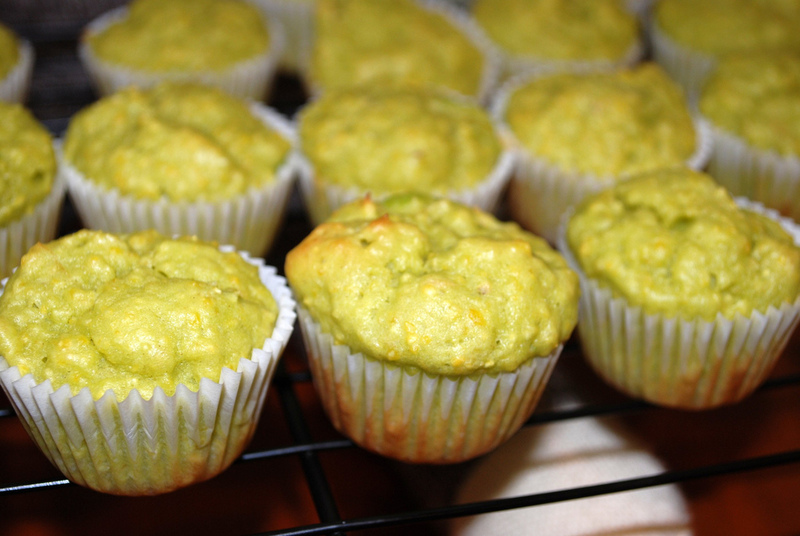 You could use processed cheese-like substance to wrap them in instead of muffin wrappers!